If your family was victimized by a Ford Explorer rollover accident, you may be heartened to know that many Ford Explorer rollover settlements already have benefited other Americans. Though Ford issued a recall of 6.5 million Firestone tires on its vehicles in the year 2000, in response to rollover accidents, the automaker still must face lawsuits and pay out settlements over its vehicles’ rollover propensities, with or without Firestone tires. That’s because, for more than a decade, Explorers were made with the design defect of a narrow wheelbase and a high center of gravity, making them prone to rollovers. In 2010, a Mississippi jury handed down a $131 million verdict against Ford for an Explorer rollover accident which killed Brian Cole, a prospective pitcher for the New York Mets, who was driving an Explorer Sport. His cousin, a passenger, survived and was given $1.5 million in the rollover settlement. Cole’s two-door Explorer Scout had a wheelbase 10 inches narrower than that of a four-door vehicle and a higher rollover rate than those vehicles. 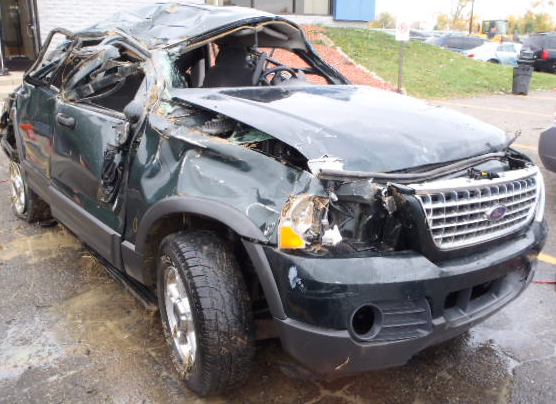 The more narrow wheelbase, coupled with an identically high center of gravity, made the two-door Explorer even more unstable and prone to rollovers. Cole’s family’s huge Explorer settlement doesn’t mean they collected more than $100 million. Often following such jury awards, a compromise settlement is reached, thus preventing years of protracted appeals. Even so, an expected settlement of $7 million to $15 million in this case represents a substantial victory for plaintiffs when it comes to Ford Explorer rollover settlements. Their attorney in this case was from Little Rock, Arkansas. Over the course of 20 years he’s settled over $1 billion in rollover cases. Also known for significant and confidential rollover settlements is Attorney David Willis, founder of the Willis Law Firm. In fact, he received a prestigious award for his legal work leading to the largest tire recall in American history when Ford blamed Explorers’ tires, not the vehicles themselves, for rollovers. Though those tires were defective, Ford Explorers have had more problems than defective tires. They’ve also had Explorer design defects which, while they’ve been corrected to some extent in later vehicles, have continued to injure and kill Americans in rollovers involving Explorer vehicles made between 1990 and 2001. Federal rollover statistics assembled by Safety and Research Strategies show that one in every 2,700 Ford Explorers manufactured in those years has rolled over and killed at least one person in the SUV. Though the 4 million or so vehicles which were built through 2001 have declined in numbers over the years, with some headed to scrap yards, many remain on our roads and are threats to occupants and other vehicles. Beyond their inherent design defects, older Explorers have more rear suspension problems and may lack proper maintenance and adequate tires. That’s why Ford Explorer lawsuits leading to rollover settlements still are needed. Other Explorer settlements include that of a California couple who were seriously injured in an Explorer rollover and received $14.9 million in an Explorer lawsuit. Also, in 2001 Ford reached a $22 million out-of-court settlement in the lawsuit of a family whose two teen daughters were killed in an Explorer rollover accident. Even owners of Explorers which haven’t yet had a rollover have received payments in a class action Explorer lawsuit. A California judge in 2008 approved a settlement to compensate nearly one million Explorer owners whose vehicles lost about $1,000 in resale value due to Explorers’ rollover notoriety. That Explorer class-action case included lawsuits from Texas, California, Illinois and Connecticut. Owners of Explorers from model years 1991-2001 were eligible to receive $500 vouchers to purchase newer and safer Explorers or $300 vouchers to purchase other Ford or Lincoln Mercury models. Individual Explorer lawsuits also have continued to provide settlements for plaintiffs after Ford Explorer rollovers. These have involved such vehicles as 1990s Ford Explorers and a 1999 Mercury Mountaineer, considered to be a sister vehicle to an Explorer. If someone in your family was injured or killed in an Explorer rollover accident, alert the Willis Law Firm to receive a free legal evaluation. A knowledgeable and experienced lawyer provided by our law firm can fight for your right to financial recovery for your Ford rollover losses, including your medical and hospital bills, lost present and future salary and pain and suffering. You, too, may be entitled to an Explorer rollover jury settlement. Contact our law firm so we can get started making that claim for you.